Celebrate in the Centennial State! With so much natural beauty and culture there's always a reason for an big occasion. 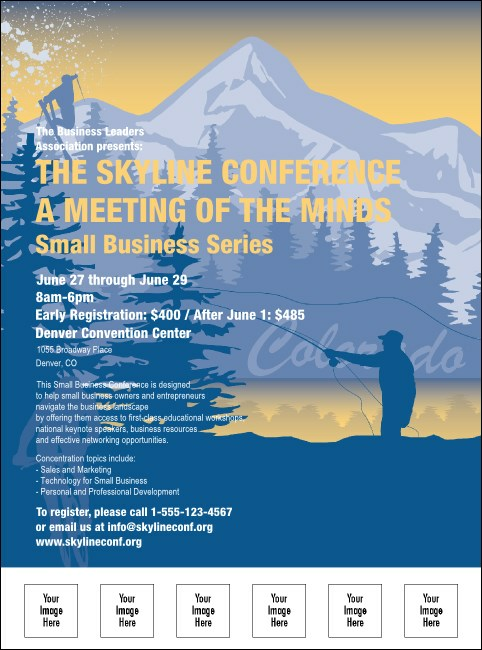 Announce it with the Colorado Flyer, featuring mountains and a fisherman as well as six spaces for your photos and logos. Always make the right choice with TicketPrinting.com.